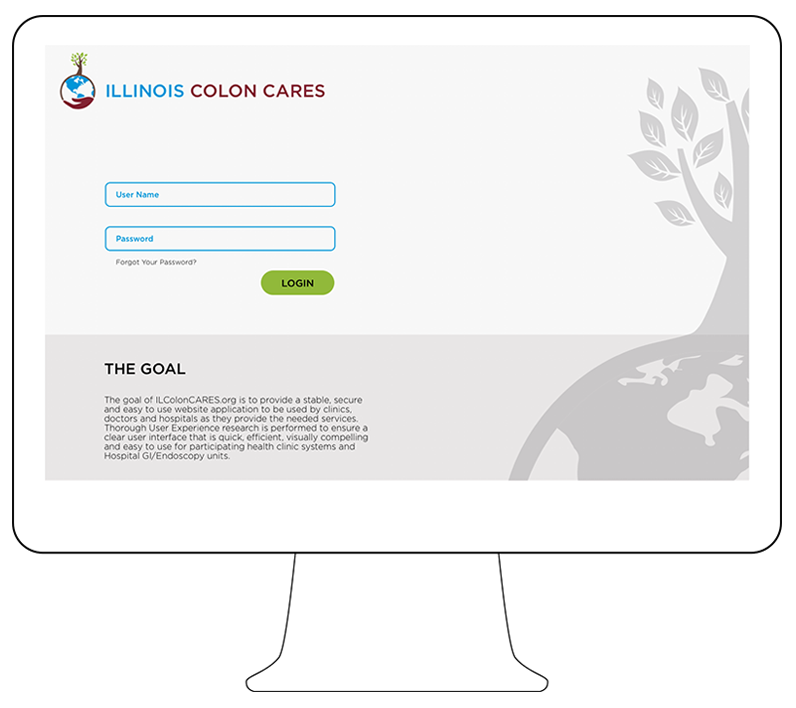 Illinois Colon CARES is an initiative led by the University of Chicago Medical Center. 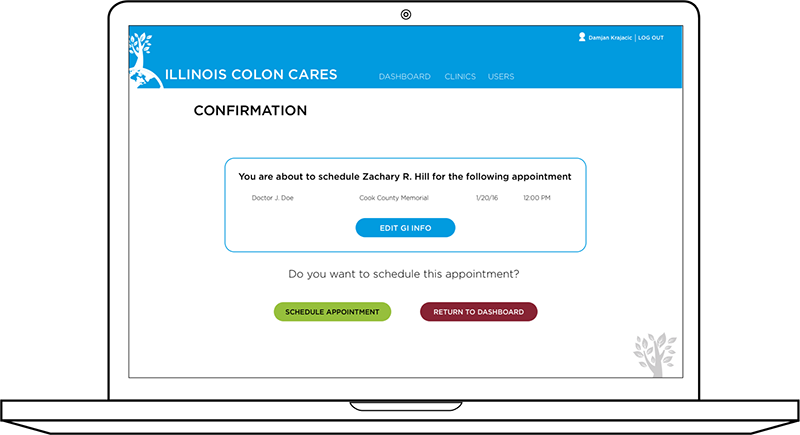 It is designed to facilitate the scheduling of colonoscopy appointments between clinics servicing low income areas and hospital doctors willing to donate their time for the appointments and procedure. ActiveColor was asked to work with the stakeholders to ideate, design, and develop the system to support this initiative. Key terms being simplicity and ease of use, our UX process constantly empathized with clinic and hospital staff and doctors, who needed to feel that the new system is a natural extension of their everyday work, extremely easy and intuitive to use, as well as being highly functional in terms of getting things done quickly and efficiently. Working with stakeholders, it was imperative that we created a clear and detailed information architecture, and site wide specifications for the system. Through user testing, user interviews, and other various forms of user experience research we finalized the UX design and architecture of the system. 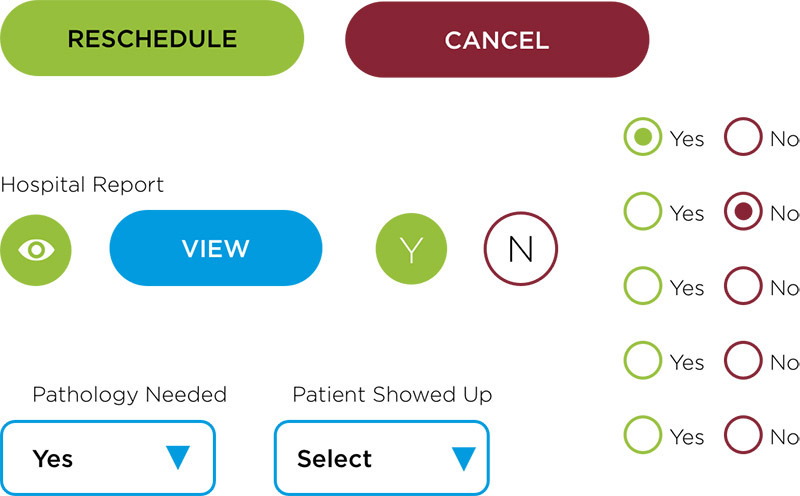 Once both were in place, we moved to wireframing and visual design of the system which eventually led to a full system front and back end development, built in Node.js and PostgreSQL for complete customization and security considerations related to HIPAA compliance. Through intensive rounds of iteration and ideation of the architecture, specifications, design and development of the system we were able to create an efficient, modern and easy to use website application that has improved the communication between hospitals and clinics in the Chicago area, with possible national expansion.